movies and tv series of people with same taste like you. You will rate movies and tv series to determine your likes. First of all we get to know your individual movie and tv series preferences. So we are able to find users with similar taste as yours. In order to do so rate a bunch of random movies and tv series. Unknown movies or tv series can be skipped. Unsure about a specific movie or tv series? Tap on the poster. We provide basic informations like trailer, genres, actors and directors. 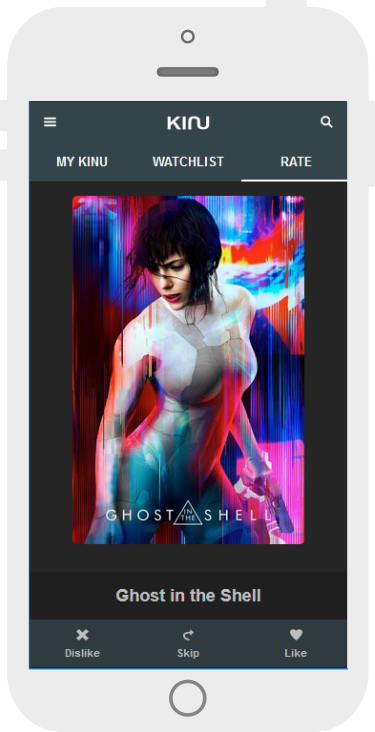 Additionally you can add a movie to your watchlist to see it later. Alternative you can choose to don't show this movie again. 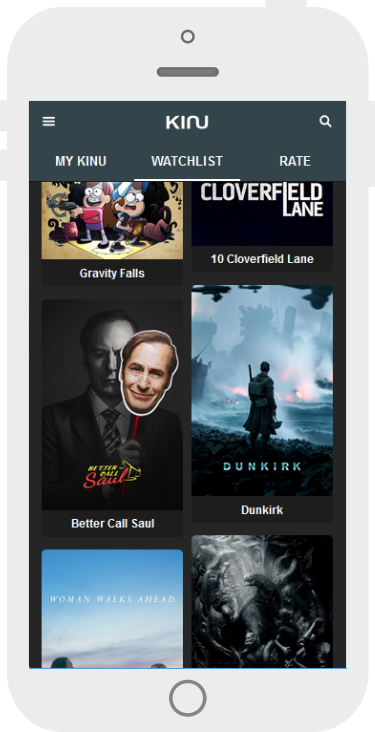 Take a look at Kinu and watch your individual movie and tv series recommendations. Tap on the poster for details. 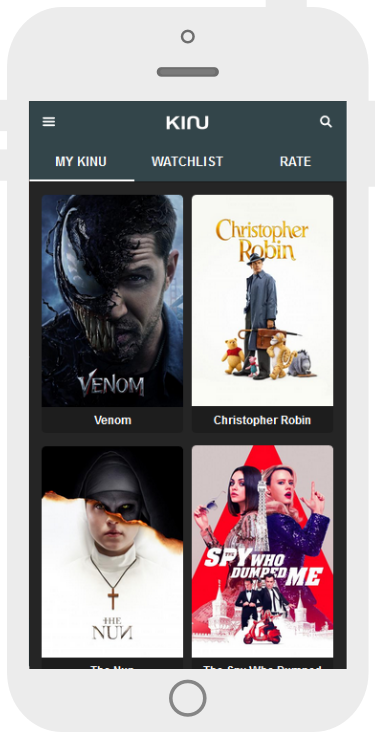 Like or Dislike some movies or tv series and press the Refresh-Button to get your recommendations. 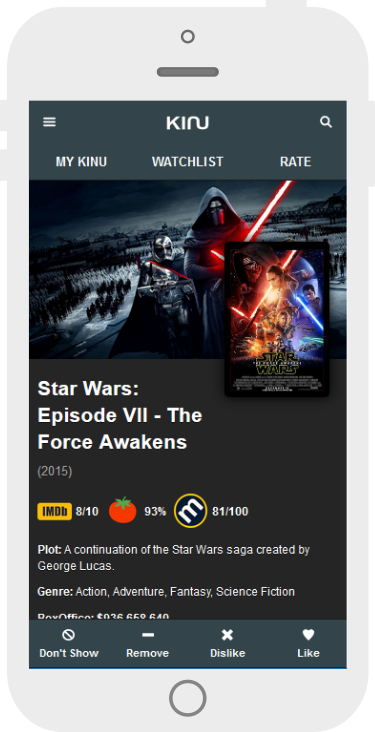 Use the web app to save your ratings. a passionate film lover and an independent developer. can recommend the best movies and tv series to you. you haven't watched yet of people with same taste in movies. Feel free to send any comments or feedback to me.